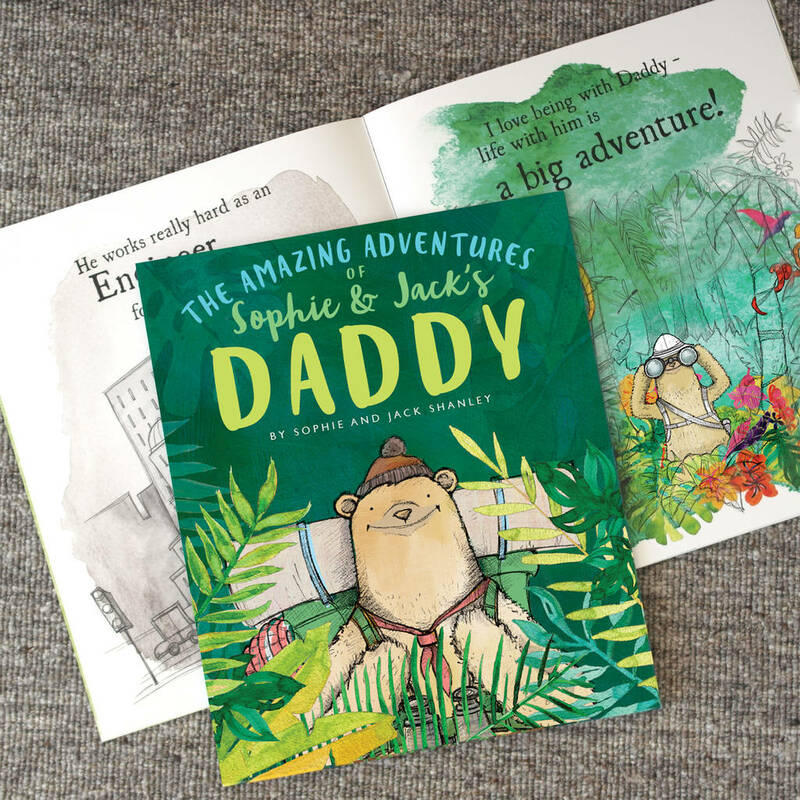 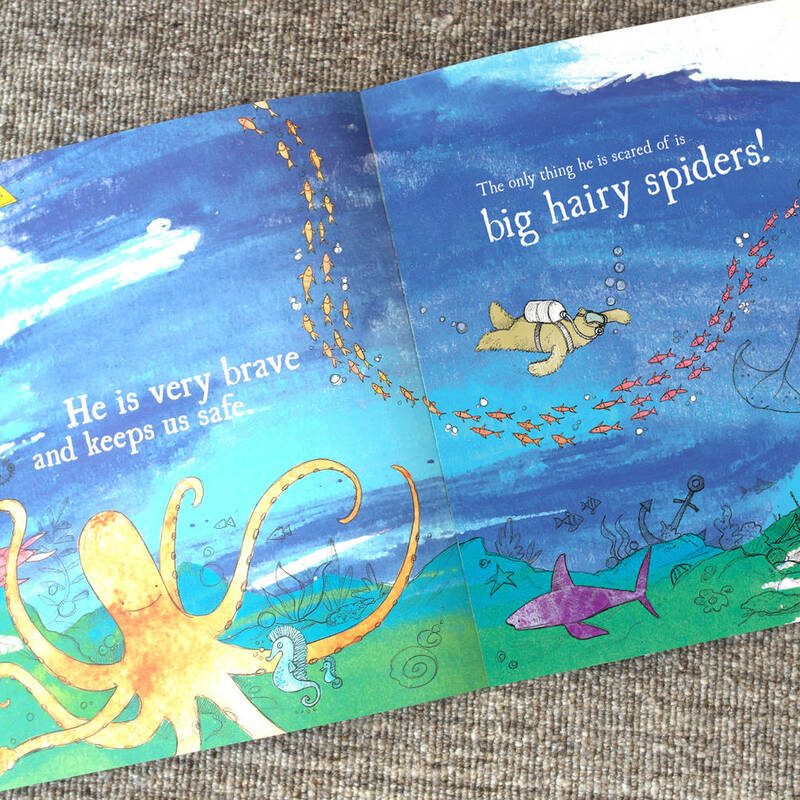 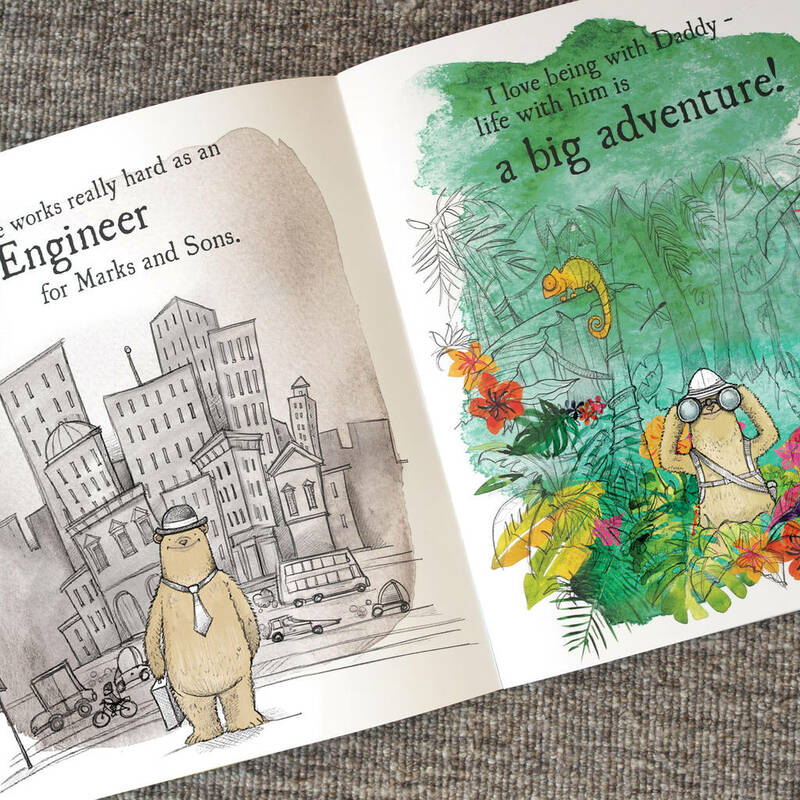 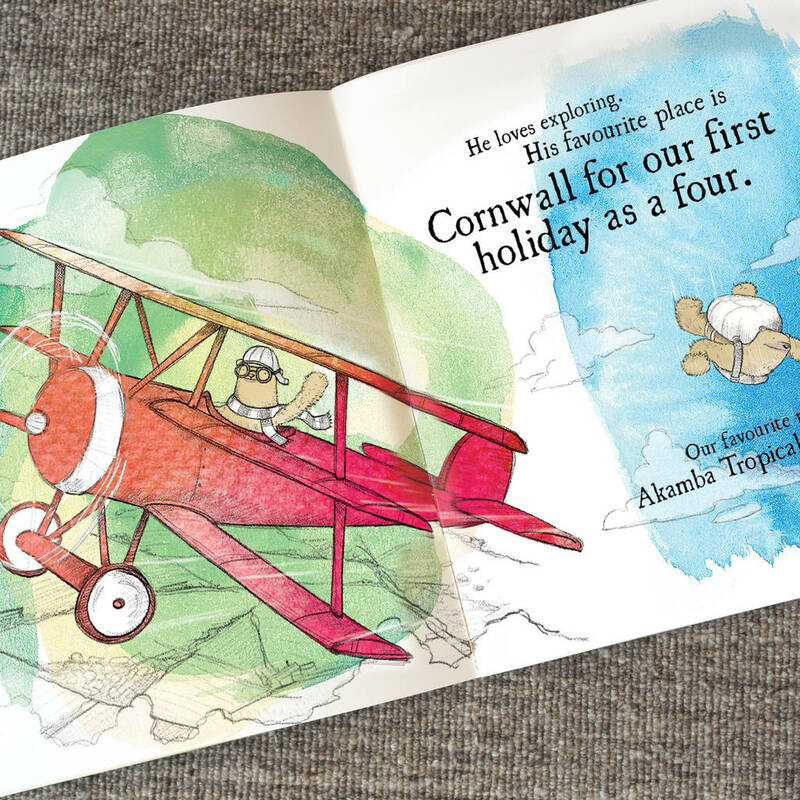 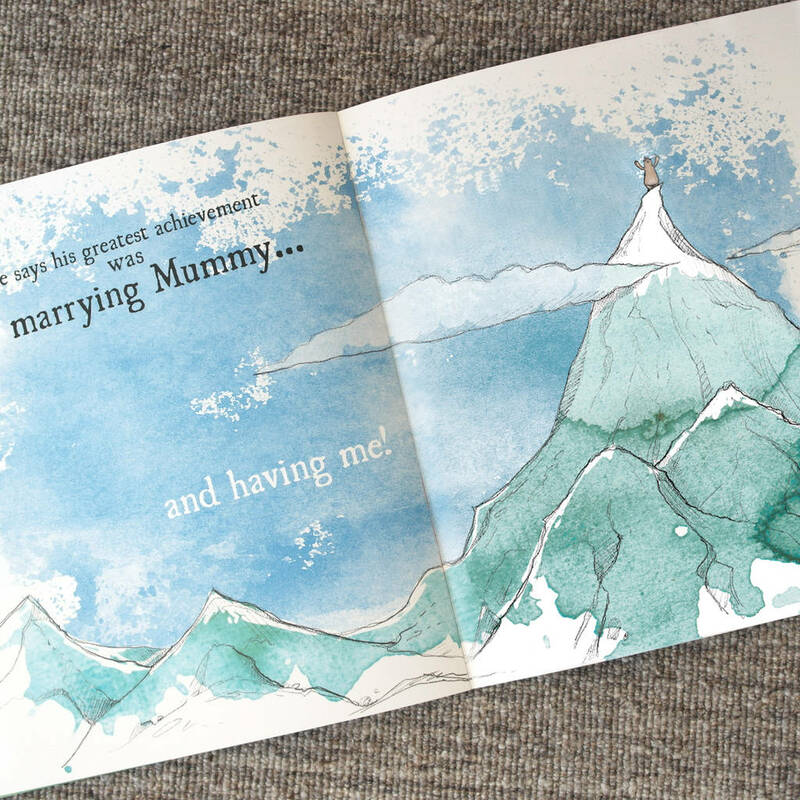 A wonderful personalised storybook celebrating Dad's amazing life, making everyday an exciting adventure! 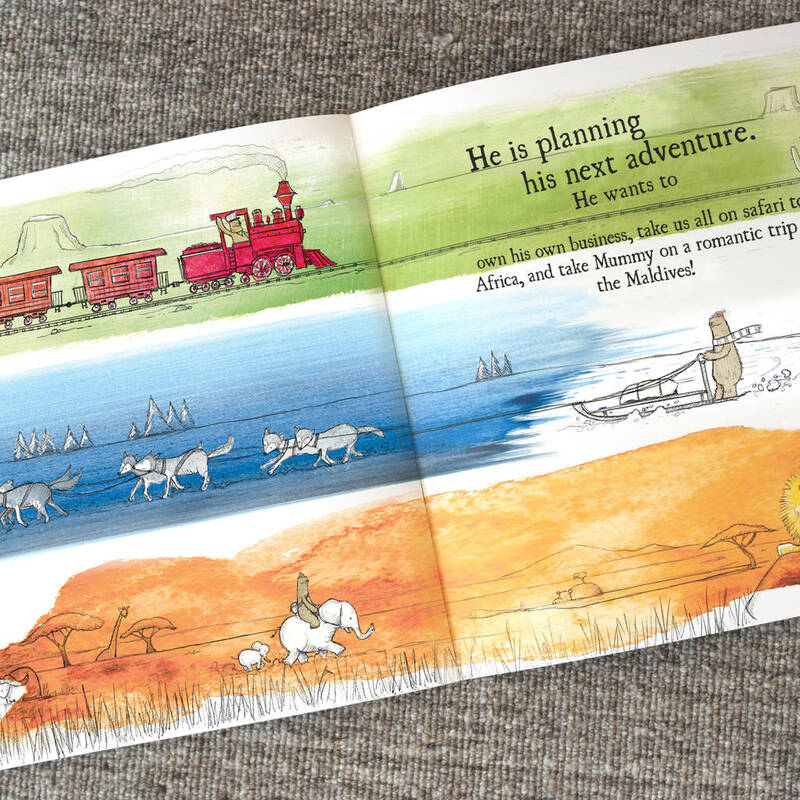 Now available in Hard or Soft Cover. 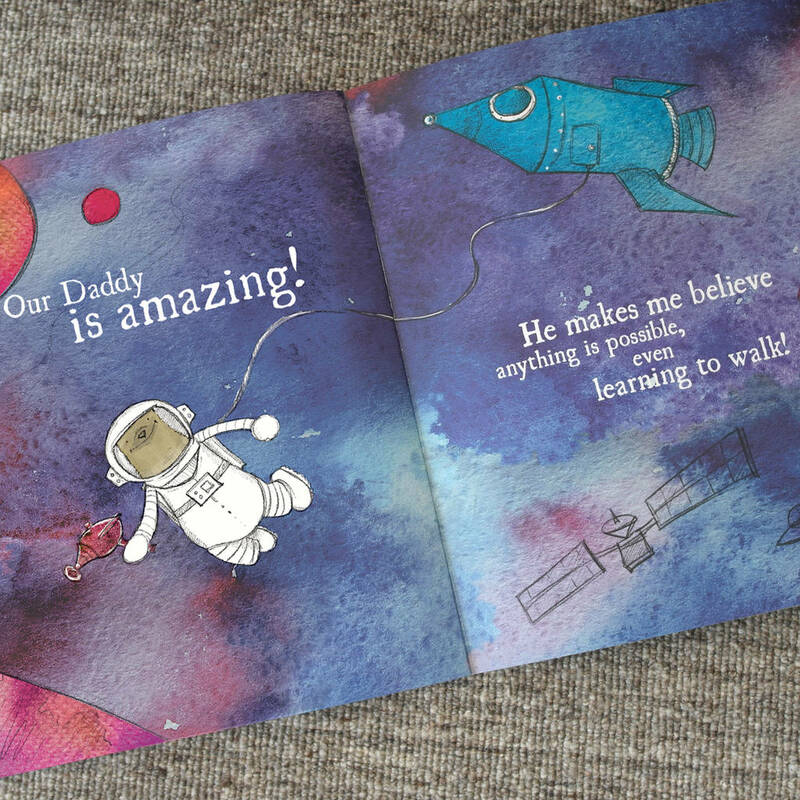 Personalised throughout with what your Daddy loves - from his job, places he loves, favourite food and achievements (check out the whole story at the bottom of this description). The front cover is printed with the name of the child (or children) as the author and The Amazing Adventures of (Name eg: Owen's) Daddy / Owen & Ben's Daddy (if more than one child). 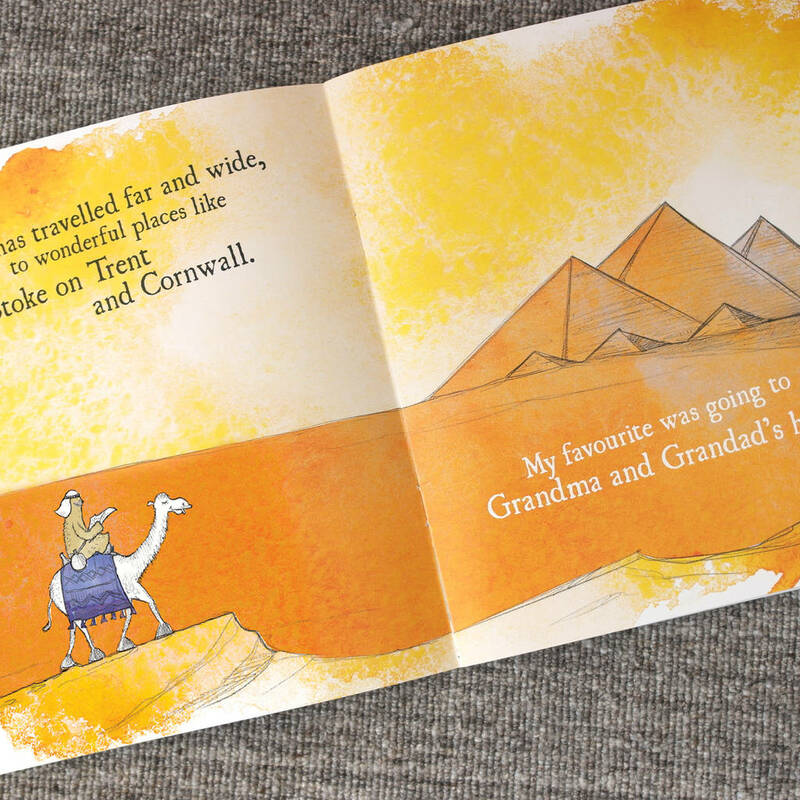 Select more than one child in the dropdown, and we'll change the story inside to be "Our favourite etc". 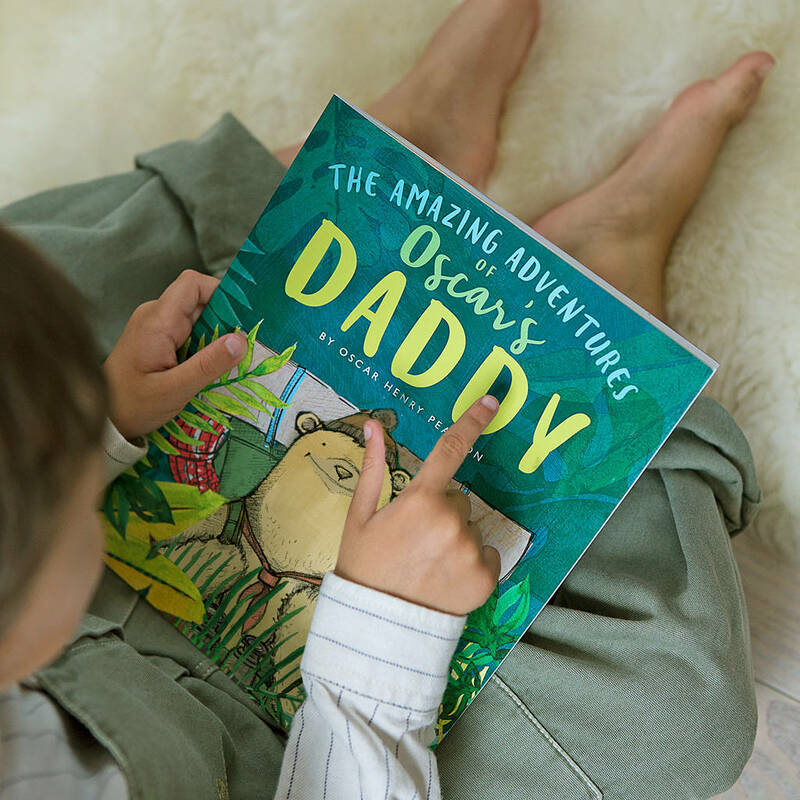 If you want the story to be just from one person, and Daddy has more children, select "One child" in the dropdown but include the other names in the title eg: Owen & Ben's, and the other children in the family members eg: Daddy lives with Mummy, my brother Ben and me! 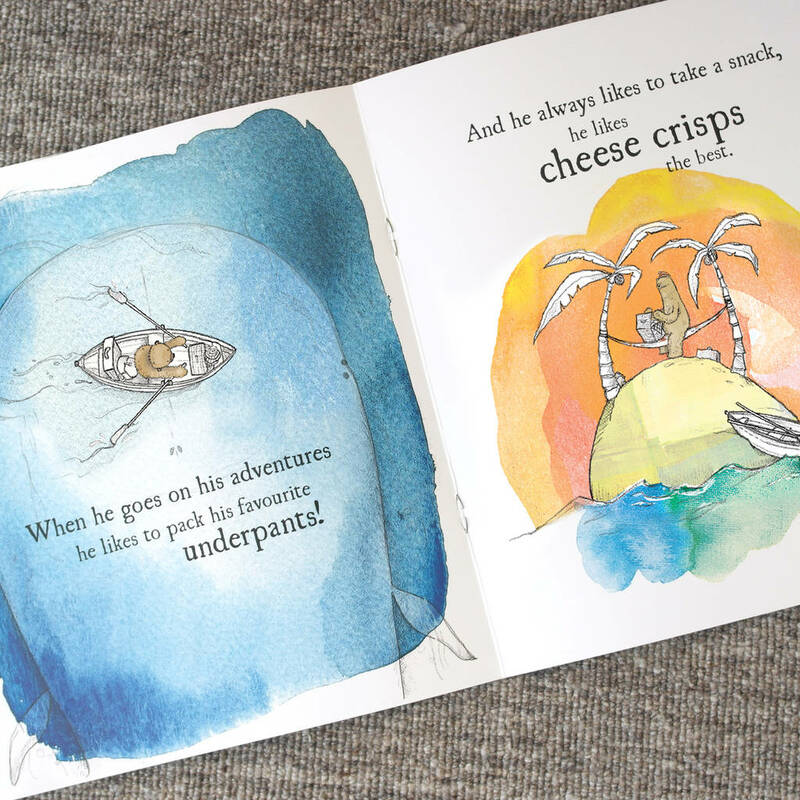 lllustrated with humorous drawings of a bear over vibrant watercolour backgrounds, with each page having a different theme - from desert, jungle, mountains, under the sea etc. 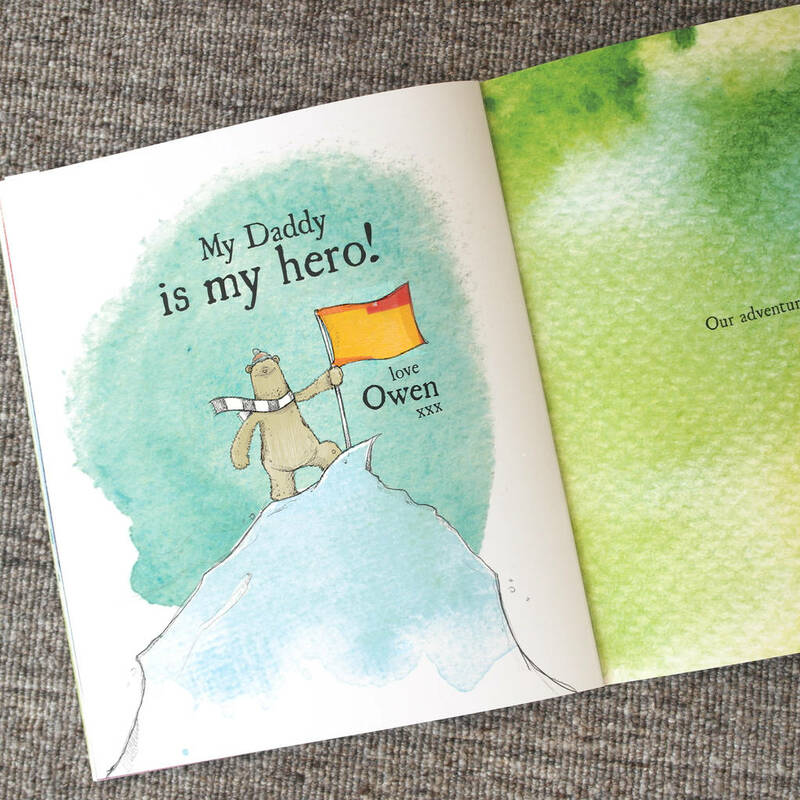 On the inside front cover we print a personalised message so they can treasure the book as a keepsake in years to come - for example, "Happy First Father's Day - love from Owen".